Skip the bottled and pricey probiotics at the health food store and start fermenting fruits and veggies at home. It's the easiest way to ensure a pantry full of tasty snacks and a healthy gut. Looking to boost your overall immunity? Start incorporating some fermented or cultured food into your everyday diet. 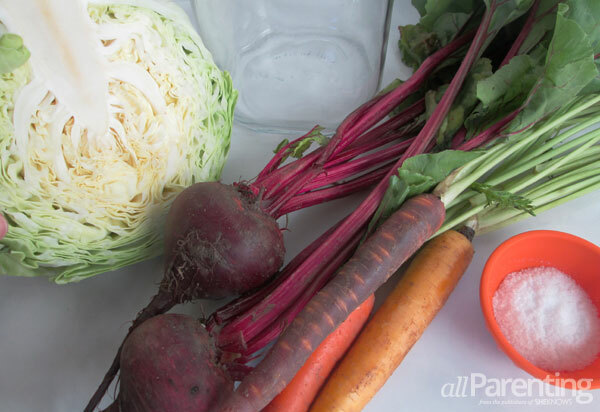 Beneficial microbes formed during the fermenting process of vegetables will help balance your intestinal flora and improve your physical and mental energy. The fermenting process is like conducting a mini science experiment in your kitchen — all while using up your favorite veggies, herbs and spices. Today we'll create a brine and simply use salt and a bit of water to start the fermenting process. It's a great way for beginners to experiment. 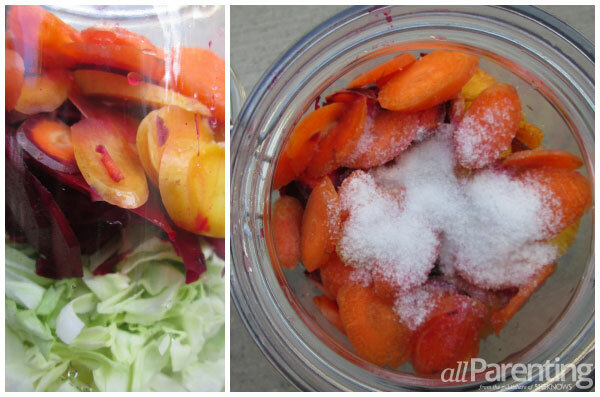 Wash and shred your veggies and add them to your canning jar. Add salt. You can also add your herbs, garlic or ginger at this point. 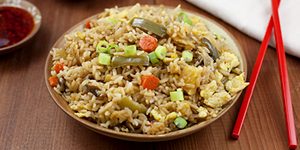 But be warned: The fermenting process will strongly enhance any flavors that you add so a little bit goes a long way. Use a wooden spoon to smash veggie mix and combine salt. The idea is to start breaking down veggies and allow the salt to extract the vegetables' natural water content. Fresh vegetables have a large water content so you probably won't need to add any water. Once the contents are mixed, press it down firmly and watch the water start to fill up your jar. You'll want to add a weight to the top of the veggies. This keeps them submerged as the water starts to rise. It's also recommended to cover the mixture with a large cabbage leaf to ensure your veggies do not float to the top of your brine. You'll want very little exposure to oxygen, as air will encourage mold (not immediately, don't worry) and hinder growth of good bacteria. Discard the top cabbage leaf when fermenting is completed. Another option is to fill a double layer of plastic bags with water and rest that on the mixture so it can seal the top layer of veggies while salt is being extracted. I dropped a small glass bowl in my jar and added a full glass jar of juice on top for added pressure. Every 10 to 15 minutes I pushed down on the jar to further submerge the veggies in their own salty brine. The mixture was covered within an hour. Store your jar in a room temperature area of your kitchen for 1 to 3 days. Keep it loosely covered with plastic wrap or open it a couple of times to release any gas pressure between the brine and the seal. Taste it every day, as it will get tangier with each passing hour. When you're happy with the flavor, seal it up and refrigerate it. For more information about home fermenting, check out WildFermentation.com or the book The Art of Fermentation by Sandor Ellix Katz.